Guys, it's happening. 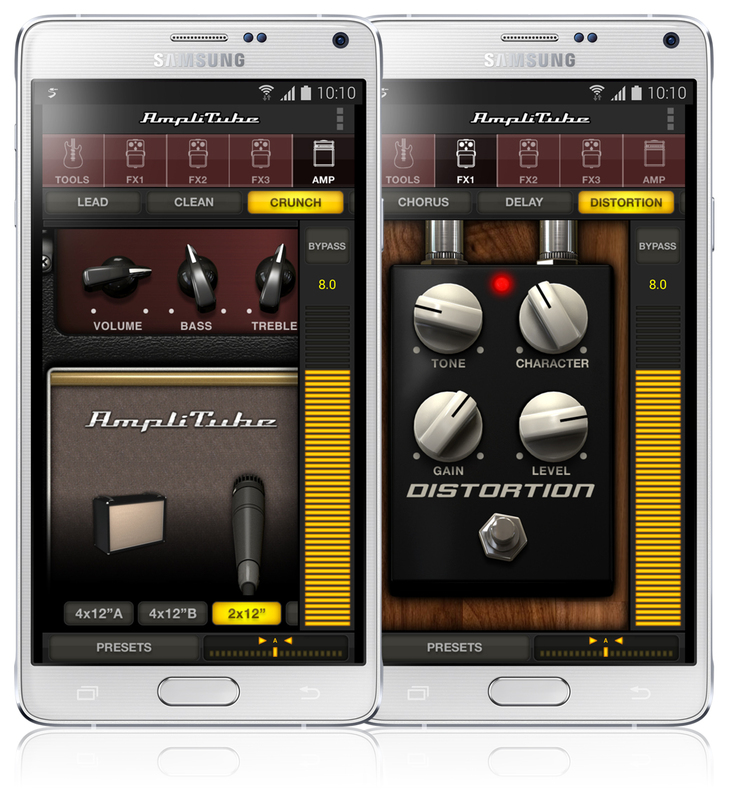 It's really happening – a real guitar amp simulator is available on Android. IK Multimedia's Amplitube is one of the most popular amp sims on iOS, and the company has been working with Samsung to bring it to Android. But, of course, there's a catch: it's only for the Note 4 and Note Edge for now. Apparently, Samsung found a way to virtually eliminate the audio-in latency issue that has plagued Android since the dawn of time – an issue that iOS never had. It calls this fix "Professional Audio," and IK is relying on it to make Amplitube for Android work at this time. Of course, Google actually fixed audio-in latency in Lollipop, which essentially paves the way for Amplitube (and any other amp sim on the market) to make its way over to Android on 5.0+ devices. I reached out to IK to find out if we'll see Amplitube show up on non-Samsung devices, but haven't heard anything back yet. 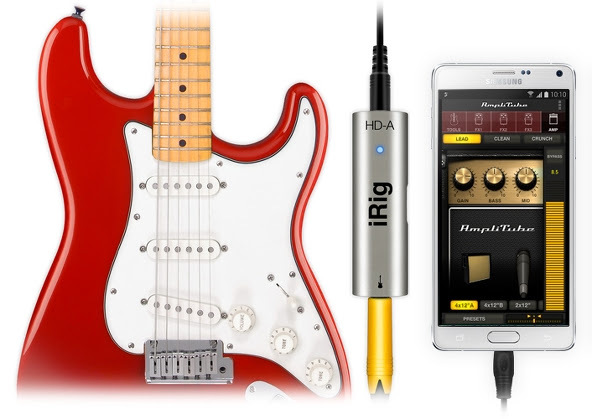 To get Amplitube working on the Note 4 and Edge, users will need an Android-specific adapter that IK calls the iRig HD-A (A...for Android), which runs about $40. From what I can tell, the iOS adapters will not work on Android – that could be a Samsung issue, or it could be Android in general. Hard to say right now. Either way, this is a huge step for musicians who want to work on Android instead of iOS. Hopefully this is the first of many music creation apps we see hit the Store. Note: Amplitube is currently only available on the Samsung App Store. There are free, LE, and the full $19.99 versions available.